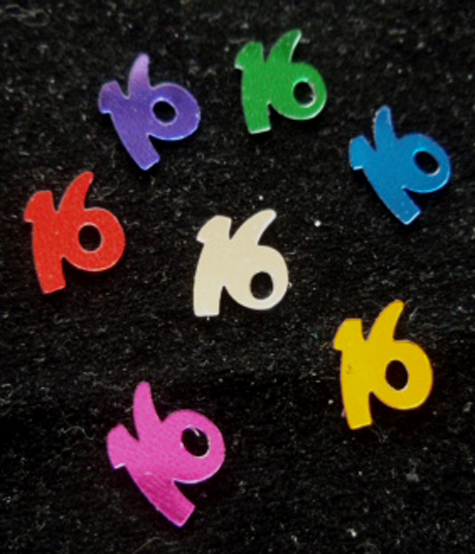 The number 16 in gold, hot pink, silver, green, royal blue, red and purple. 1/2 oz. bag. Sure to brighten up any decorations. If sprinkled around centerpieces, one bag will do 2 1/2 tables. Regular price $2.25 per bag. 25 bags available.